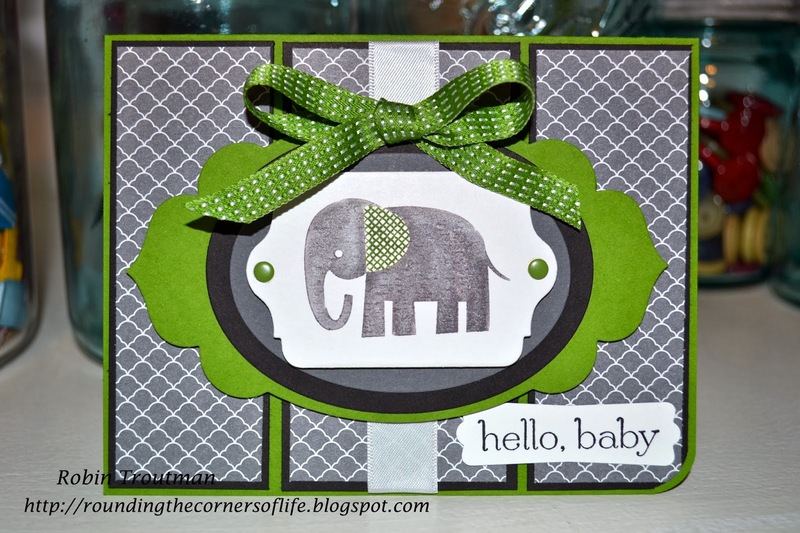 The Rounded Corner: Going Green with colourQ! 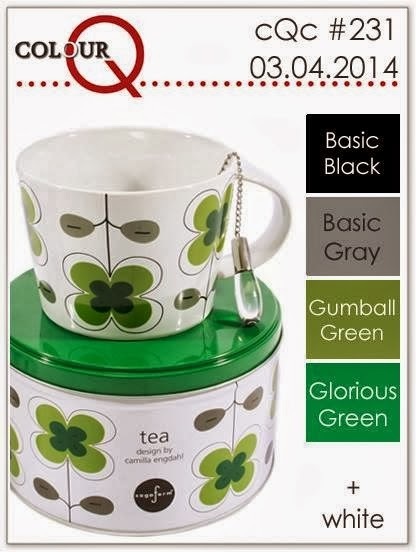 I love the color challenges over at colourQ! I was glad these colors lend themselves to a masculine card because I tend to go more girly or trendy. I tried to keep it masculine with some baby flair...which means ribbon and some girly stuff that the baby boy will not remember when he's older. 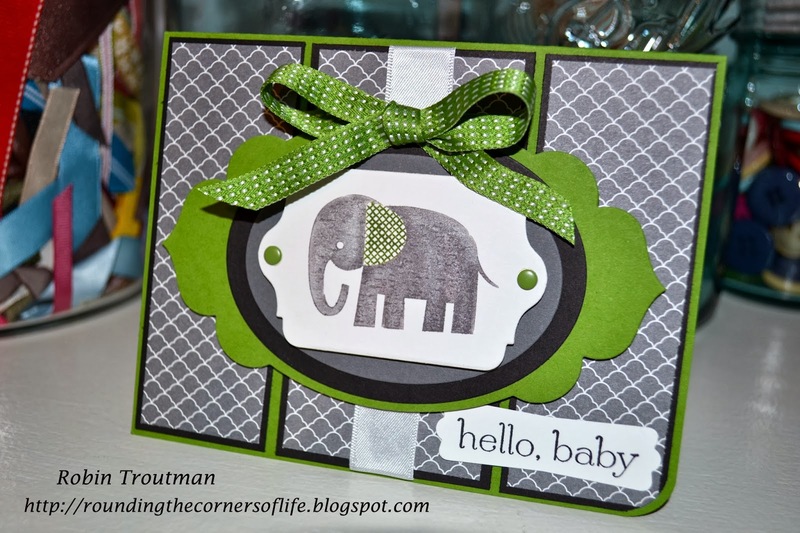 :) Love the zoo babies stamp set! 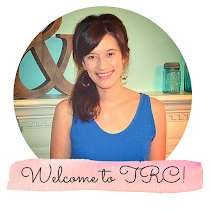 Check out my mom's blog to order stampin' stuff. This cute little guy should be in our Etsy shop soon!